In my pursuit of all things eco-friendly and organic I happened on a cute little online store called Organic Beginings. Their tagline "Putting the Ohh in Organic" is so darling. Thats not the only thing that is darling. Thanks to Ange, the owner, Dexter is now the proud owner of the cutest pants, onesies and hat. It was hard to decide what color to pick but Dexter's favorite color is yellow so I went with the Citrus. 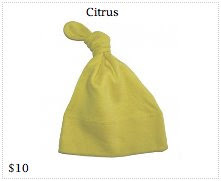 Ange says, "I strive to bring you fun colorful Organic and Eco-Friendly products." 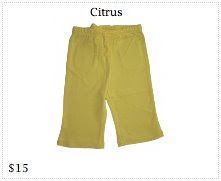 Organic Beginings®' clothing is what every parent wants for both their children and themselves. Not only will the clothes be healthier for you and your family but they will also be healthier for the environment and our planet. Becoming Eco-Aware is the best gift you can give yourself, your child, and your future. 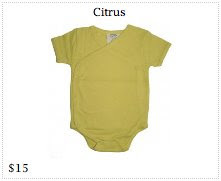 Organic Beginings carries everything organic including bodysuits, kimono style bodysuits, pants, socks and hats! There are 4 delicious colors to choose from. I tried taking pictures of little D wearing his cute clothes but he wouldn't keep the pants on to save his life. Seeing as though he has been running a high fever (thanks to teething molars), I let it slide. 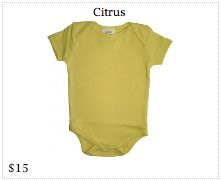 Here is the best picture I could take of him wearing his cute Citrus bodysuit (Onesie). The fabric is super soft and the colors are vibrant. I am so glad I picked a sunny color because it makes me smile just thinking about it. Thanks to Organic Beginings, your child can look as cute as Dexter (ok, maybe not as cute, but it will be a close 2nd!) One lucky reader will win a 4 piece clothing set including one bodysuit, one kimono style body suit, a pair of pants and a hat. That is a $55 value! WOW! This giveaway will end on May 10th at NOON EST. Don't forget to keep coming back everyday for new giveaways! Good Luck. I would pick 'Apple' in 6-12 months! How cute. I love the little hats!! I like the Blueberry color in size 6-12 months. Oh this is a great sponsor!!! I love the Papaya color. I can't wait for them to get a tshirt style! I'd choose Papaya in 12-18M. Thanks for the giveaway! I would pick the papaya in size 12-18 months. Their organic blankets are too cute! OMGOSH!!! This is the most Darling outfit EVER!!! I love love love love this! My favorite color is the Papaya! The size I would need is 6-12 mos! Organic Beginnings just stole my HEART!!!! LeslieVeg is following you on Twitter. I would choose blueberry in 6-12 months size. I would choose the Apple set in 6-12 months. Apple in size 6-12 months would be great. Thanks! I would pick papaya in 6-12 months. I would like the blueberry in 12-18m. I would love the blueberry in 3-6 mos for my new grandbaby! love Apple in 3-6 mts! I like APPLE in Size 6-12 months. Okay, after I got over the creepy photo on the front of their website (if you talk to them, please suggest that they use a REAL baby for their website...in fact, maybe I'll email them myself), I was able to see their very cute clothing. I MUST go with the blueberry color in the 12-18 month size. Hopefully I'll win and then have something that fits over a cloth diaper, haha. I'd like the Apple set in size 12-18M for my nephew. Thanks!